Digital marketing is a lot of work. You have to create the content. You have to figure out where to post it. You have to figure out how to track whether or not your campaign was successful. Do you base it on engagement? Views? New sales? The answer is, you base it on different metrics depending on what your goals are. In earlier blogs, we went through all the steps of the ENDREA Method™ up until the (A) Analyze step. During those steps, you should have discovered your goals and what steps you need to do to reach those goals. Let’s take a look at some of the metrics you can use to determine the success of your marketing campaign. Did you get more visitors to your website, or did your traffic stay about the same? If growing your website traffic is part of your strategy to reach your goals, then pay attention to the 4 main types of traffic. Organic search traffic – this is the traffic that comes to your site from Google or any other search engine. When your marketing campaign involves putting out tons of new content, this is the first metric you’ll want to examine to see how well it’s working. This is also an excellent way to check your SEO. Referral traffic – if you’re guest posting on other websites and blogs, or putting content on platforms like Medium, your referral traffic is a great way to see how well that’s working. Social traffic – ah, social media. This is where digital marketers are spending a lot of time these days. But are all of those likes and shares translating into more visitors to your website? Examining your social traffic will tell you. Direct traffic – this is the traffic that comes from someone clicking a link in an email or typing it directly into the search bar. If you’re trying to simply increase your brand awareness, you may want to take a look at direct traffic to see if your efforts are paying off. While likes, shares, and comments are great – the test to see how well your content is working on a digital marketing campaign is in the click-through rate. This tells you how many people actually took the desired action on the piece of content you’ve put out – clicking through to your website. If you’re building a new brand, you really can’t ignore the social media metrics. 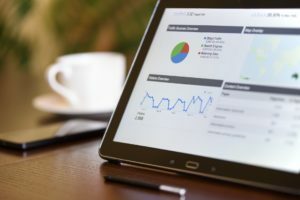 Many digital marketers refer to these as “vanity metrics.” This is because while they can often grow quickly and make you feel great – they don’t always translate into the actions you’re hoping for. However, if your campaign is built around building brand awareness, you really can’t ignore them. Your ROI is basically how much you spent on a marketing campaign versus the impact that the campaign had. If you’re consistently paying far too much for PPC ads, or if boosting your content on social media isn’t getting you the customers you were hoping for, your ROI is definitely off. If you’re having trouble with your marketing campaigns, the experts here at ENDREA can help. Contact us to find out more about the ENDREA Method™ of digital marketing, and watch your business grow.